Uncharted is one of the most interesting games I have played over the past couple of years due to its innovative story line which thrusts you right into the centre of one of the most compelling mysteries around. The games graphical content is simply stunning and really does justice to the game as a whole which makes it even more enjoyable. great stuff all round. 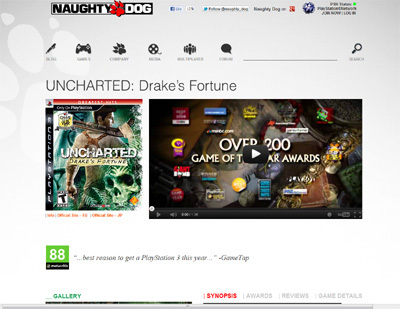 We have also compiled a Review System for this, of which Uncharted is Rated as Four Stars, the second highest possible score available from the Game Review Team.